Johnson's Lower Canada And New Brunswick. Johnson's Upper Canada. 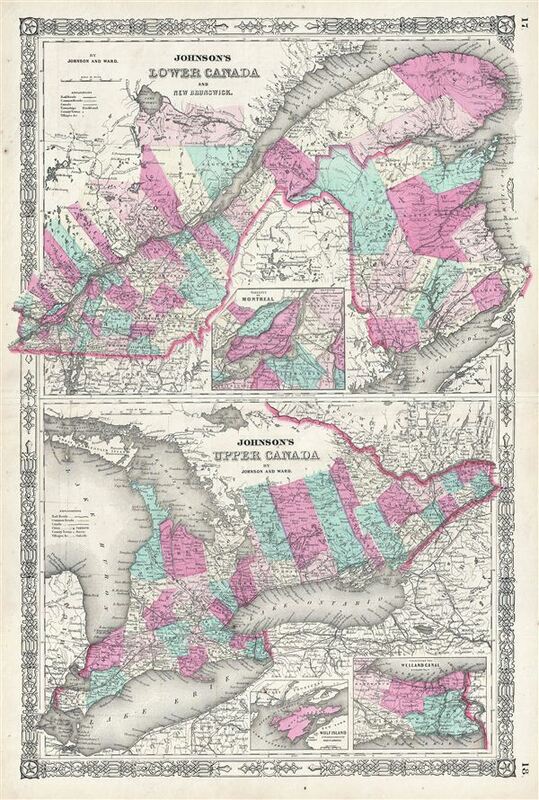 Johnson, A. J., Johnson's New Illustrated Family Atlas, (1864 Johnson and Ward edition). Very good. Minor wear along original centerfold. Text on verso. Minor foxing. Rumsey 0352.015. Philps (atlases) 843.